The Plains Art Museum in downtown Fargo hosts the second annual Friendship Day to celebrate diversity in the surrounding community. On Martin Luther King, Jr. Day, one area arts organization is celebrating the diversity and uniqueness of the Fargo-Moorhead community. 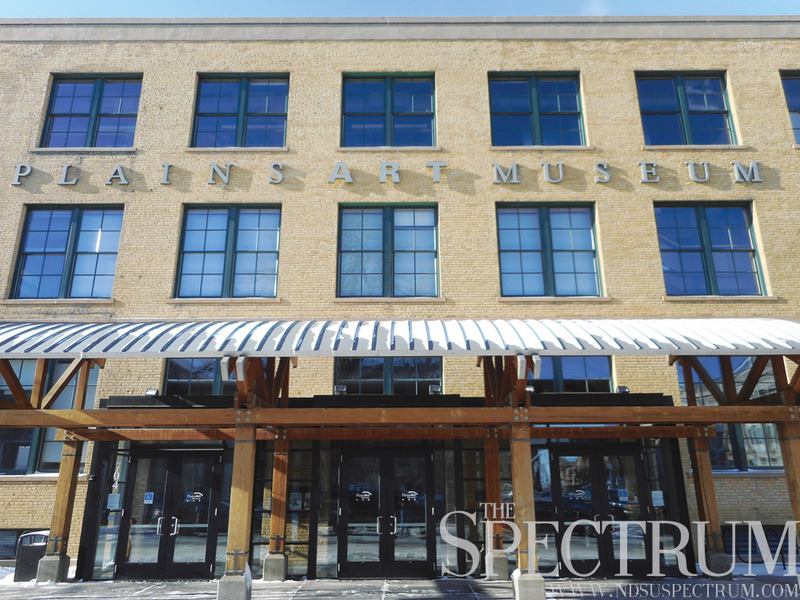 The Plains Art Museum of downtown Fargo will open its doors at 1 p.m. Monday for Friendship Day, a free event aimed at bringing together people of all ages and walks of life. With activities and galleries open to all, Friendship Day embodies the spirit of the holiday at hand. “It’s really a celebration of our diverse community and the opportunity for people from all parts of the community to come together, celebrate the art and start bonding friendship,” Brianna McNelly, manager of youth programs, said. All of the gallery spaces at the museum will open for viewing, and Fargo R&B/jazz group Heart&Soul is lined up to perform. In addition, the museum’s Blue Goose Cafe will be open until 2 p.m. for any visitors desiring meal during the artful event. Activities include a screen printing craft in the spirit of MLK Day. In addition to screen printing, a monoprint activity is also available for all in attendance. With mylar and monoprints, everyone can collaborate on an art piece spelling out “community” when completed and then take their print with them when the day is done. There really is something for everyone with Friendship Day, as story times at 2 p.m. and 3 p.m. are great for children, the art activities are prime for families and the galleries are open to all. Online registration is requested for this event, which can be done at plainsart.org. As the second annual event of this kind, McNelly hopes the community will step out to participate. MLK Day, observed by all 50 states for the first time in 2000, is a day promoting humanity and community, which Friendship Day at the Plains Art Museum aims to do. “We really hope that individuals from all age groups will come out and listen to Heart&Soul and partake in the art activities and the galleries,” McNelly said. WHERE: Plains Art Museum, 704 1st Ave. N.